Hardwood 101 > What's the Difference between Engineered Hardwood and Solid Hardwood? 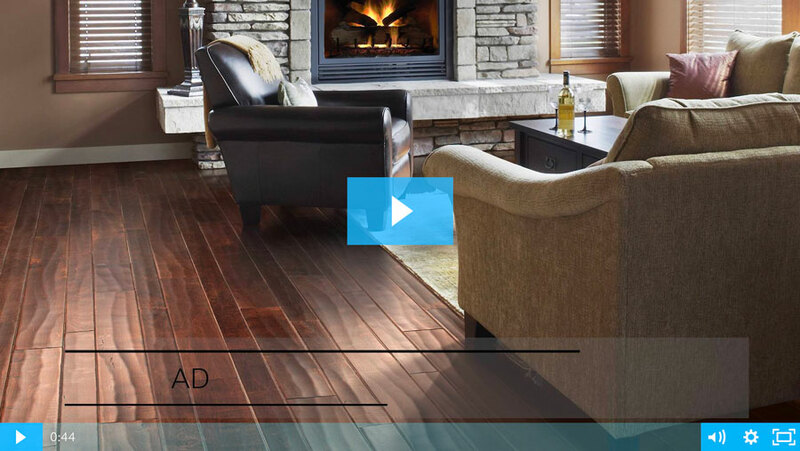 What's the Difference between Engineered Hardwood and Solid Hardwood? Your mind is made up. You want new hardwood floors in your home. Great choice! Wood floors instantly add warm, rustic charm and natural beauty wherever they are installed. But that is only half of the decision dilemma. With so many options on the market, how do you know which to select for your home? And what is the real difference between solid hardwood and engineered hardwood? Well, here’s a bit of relief. Both solid hardwood planks and engineered planks are made from 100% real wood. And both types are capable of delivering a beautiful visual. It is important, however, to learn about the differences between the two, like construction, stability, installation and, of course, cost. Once you get a good grasp of all these factors, your ultimate choice will be easier—and more accurate. Let’s discuss them. Construction: Just like the name suggests, solid hardwood planks are created from a single, thick piece of solid wood. Engineered hardwood is also made of genuine wood but has a core of hardwood or plywood with a layer of hardwood veneer applied to the top surface. With engineered hardwood, HDF core construction creates much stronger bonds between wood layers than those found in ordinary engineered hardwood and is heavier for superior stability. Stability: The good thing about the solid vs. engineered analysis is that both forms will provide durability and toughness in active homes. Solid wood flooring is inherently durable but must be permanently nailed or glued to the subfloor. Because of expansion and contraction issues, solid hardwood floors are more prone to shrinking or expanding based on humidity levels. Engineered floors can have greater dimensional stability in extreme temperatures, which provides slightly more resistance to buckling or rippling. How much durability your engineered wood will provide goes back to the core construction that you choose. Installing Hardwood: Where are your new floors going inside the home? Solid hardwood will expand and contract with changes in temperature and moisture, so they are only recommended at or above ground level. Also, the installation method for solid hardwood takes some consideration. Solid hardwood flooring can be glued, nailed or stapled to a wood subfloor but must have the right amount of space for hardwood’s natural expansion and contraction. If the individual boards are too tight, the floor will buckle, and if they are too loose, then the gaps between the boards will get too wide during colder temperatures. Installing Engineered: Engineered wood has enhanced installation options due to its unique construction that makes it less likely to buckle, gap or react to heat or temperature change. Floating, glue, staple, nail, you name it, the choice of installation is yours. Engineered wood can even be installed below and over radiant heat. This makes engineered wood a great fit for installing above, on or below ground level in your home. Regardless of whether you end up with a solid or engineered wood floor, it’s worth the investment to rely on quality installation experts to ensure a stress-free flooring experience. Cost: Your budget will help determine a lot about the best hardwood for you. Generally speaking, engineered hardwood is less expensive than solid hardwood, but ultimately the quality and species of wood will be the biggest price determinants. Exotic solid hardwood species are certainly pricier than engineered hardwood. What’s next? Make your checklist, prioritize the characteristics you want, set your budget parameters and visit your local retailer. Your gorgeous hardwood awaits!